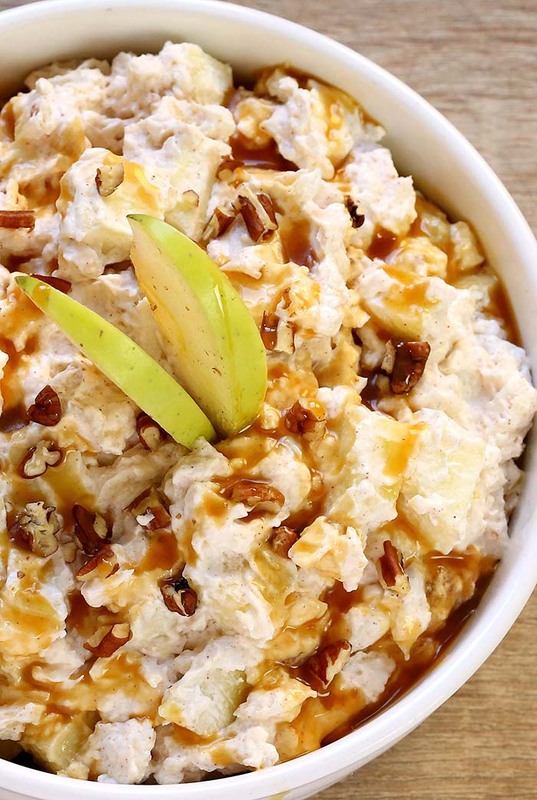 Caramel Apple Salad is a super simple, delicious fall salad! It only take a few ingredients and couple minutes to whip up, and is always a hit at parties. With the weather chilling down, everyone has Fall on their minds! 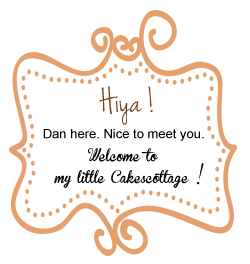 This entry was posted in Dip, Holiday, Salad and tagged Apple, butterscotch pudding, Pineapple on October 15, 2017 by Dan. 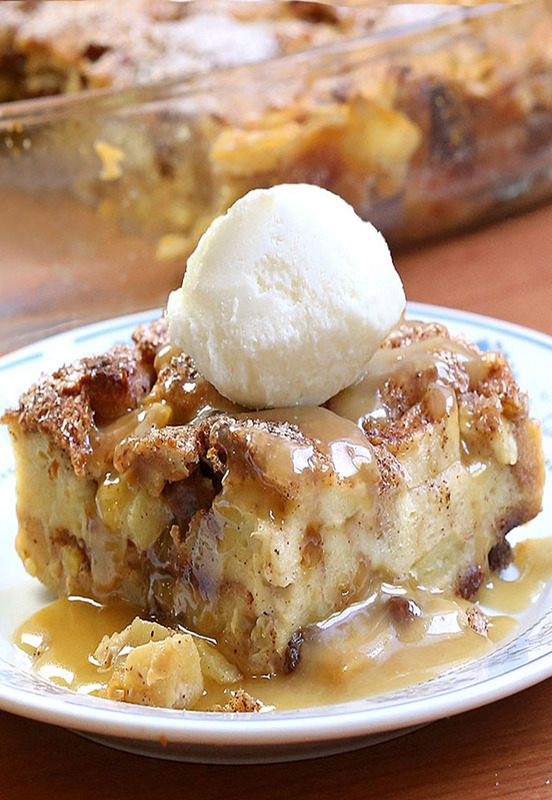 CARAMEL APPLE PIE BREAD PUDDING! Oh my! 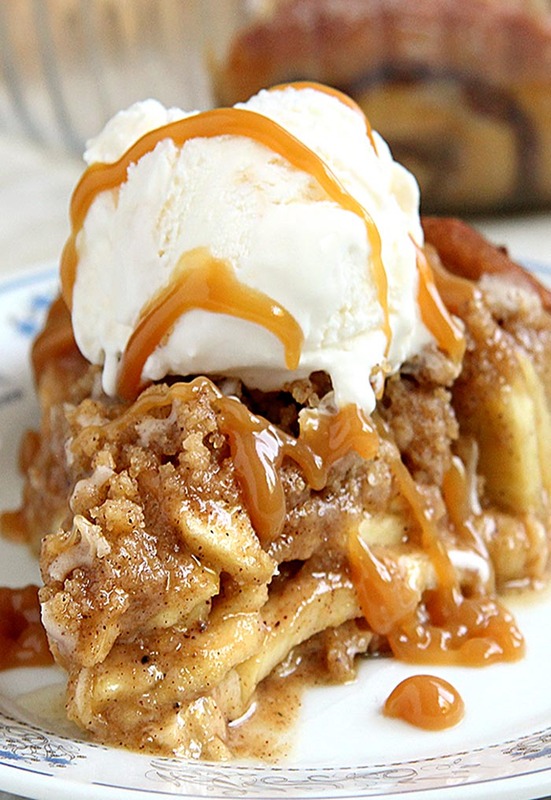 You combined apple pie and bread pudding?! I must try this. It looks and sounds incredible! Perfect for dessert, or even breakfast! Somehow, in the 4 years that we’ve been doing this blog, we’ve never posted a bread pudding. This entry was posted in Bread, Breakfast, Cakes and tagged Apple, Bread, caramel on September 14, 2017 by Dan. Easy Apple Pie Egg Rolls!! 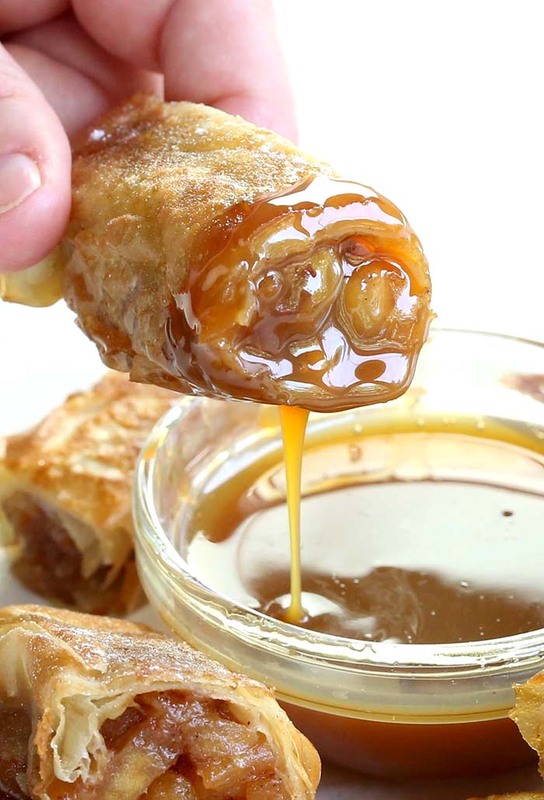 a quick and easy dessert egg rolls filled with warm homemade apple pie filling and served with a caramel dipping sauce. If you like the OLD McDonald’s fried apple pies, (used to serve back in the days) you will LOVE these! This entry was posted in Cakes, Holiday and tagged Apple, caramel, egg rolls on September 3, 2017 by Dan. Delicious Cinnamon Roll Apple Pie that uses homemade apple pie filling, refrigerated cinnamon rolls, and crumb topping to create a delectable, easy FALL Dessert. 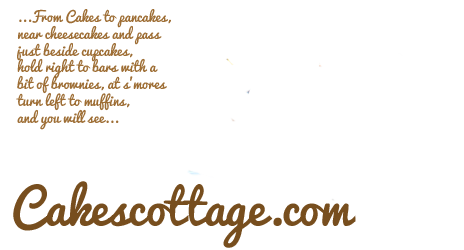 This entry was posted in Cakes, Holiday and tagged Apple, caramel, cinnamon roll on August 24, 2017 by Dan.